As most people who have followed racing for a while know there are lots of highs and lows and if there was ever a single example of this it has to be Miracle Of Medinah who Mark bought for just £3000 from Doncaster in the Autumn of 2012;at £3k you cannot expect too much from his pedigree. As soon as he began to get into any kind of work it quickly became obvious he was talented. After a couple of quietly progressive outings he won a Lingfield Maiden decisively on his third start.He progressed over the Summer of 2013 with the profile of a class person winning a Conditions race at Salisbury, the Listed Rose Bowl at Newbury and finally ended a splendid season by decisively winning the Group Three Somerville Tattersalls Stakes at Newmarket. He had entered the betting for the 2014 2000 Guineas and the Yard looked to prepare him for the first Classic by running him in one of the traditional prep races, the seven-furlong Free handicap at Newmarket’s Craven Meeting in April.His two-year-old form gave him a good chance but, whilst the ground might not have been quite ideal and the high class eventual winner, Shifting Power, went on to finish 4th in the Newmarket Guineas and 2nd in the Irish Guineas, he ran only a modest race. You can put a line through one bad run but confidence that he would stay the Rowley mile was dented so the plan to run in the Guineas was shelved. Mark kept him to 7 furlongs but two more poor runs and the emergence of a bleeding problem left the Yard and his people somewhat deflated. At home the ability seemed as good as ever and the seven furlongs of the Jersey Stakes seemed the right race for him to show his quality on the track again;he didn’t actually run badly but did not make too much of an impact on what was inevitably a high class field;and the hard truth emerged that he was not the horse he was from the previous year.He might have got back on track at Chester in the July of his three year old year when he was an excellent second in a Listed race but from then on his performances over the following sixteen months were affected, some times to a considerable degree and sometimes to a lesser extent, by him bleeding. His patient Owners gave him a long break and the decision was taken to train him as a five year old;he has performed, for the greater part, creditably over the Summer of 2016 starting the season with a serious performance to finish close up in one of the most competitive of handicaps, the Victoria Cup at Ascot. There have been one or two inconsistent performances since but on the whole he has performed with credit off marks in the 90s in high class handicaps;the performances being witnessed by the failure of the Handicapper to take out much of the lead in his weight cloth;and the even better news is that during 2016 he hasn’t bled. He was gelded over the 2016/2017 Winter and his patient and generous Owners were delighted with his comeback run in a Thirsk Conditions event at the end of April 2017, finishing a close up fourth behind some high class opposition. He then finished close up in a second run in the Victoria Cup and ran similarly in the Silver Bunbury Cup before gaining a much deserved success in a valuable six and a half furlong Conditions Stake on the fibresand at Deauville; if you go here you can see a video of this spiffing performance. 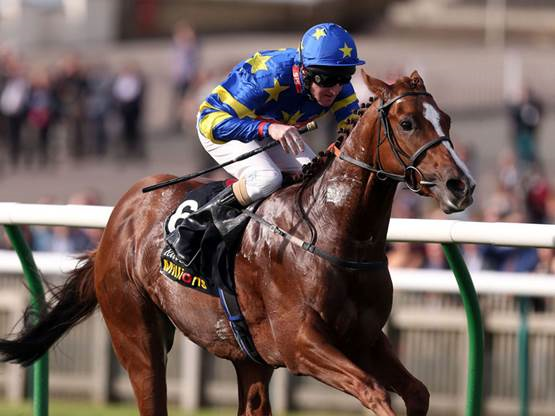 He made his 2018 seasonal reappearance in a competitive six furlong Handicap at Ascot during the second week of May and produced a a fine performance to finish third, which you can see here.